Local SEO has become an important part of any local business’ marketing strategy. In a world where 47% of customers say that they discovered new products using search engines, and 57% of business owners and marketers use SEO to market their product, local SEO (and search engine optimization in general) is something that you simply can’t avoid working on if you want to get more leads and customers. You’re probably thinking, “Fine, so local SEO is important. Should I spend hundreds of dollars hiring someone to do that, now?”. Well, not necessarily. While local SEO is a vast field that requires a lot of practice and experience if you’re looking to build a career out of it, getting the basics of local SEO right isn’t all that hard. All it takes is a couple of hours of your time, and it’s very easy to do. Still not convinced? Worry not, we’ll help you out. We’ll take you through this step-by-step guide that will explain how you can perform a local SEO audit, all by yourself. Step 1: Are you listed online? Before getting into more technical aspects of local SEO, there is one simple yet important task that you need to do: getting your business listed online, especially on Google My Business (GMB). Whenever a user runs a local search (i.e. a search with local intent, like “retail store near me”), there are a bunch of business listings that show up on Google. Take a look at this example – the search results for the term “restaurants near me”. The first thing that pops up on Google are these business listings. Google determines your location, and suggests businesses that are around you which match your description, whenever you run a local search. Now, it is to note that all of the business listings that appear here are part of Google’s own business listings directory, AKA Google My Business. In other words, if you’re not listed on GMB, you’re not going to show up when someone searches for you online, even if they’re standing right outside your store. And this translates to customers lost. Let’s take a look at how those search results look beneath the business listings. 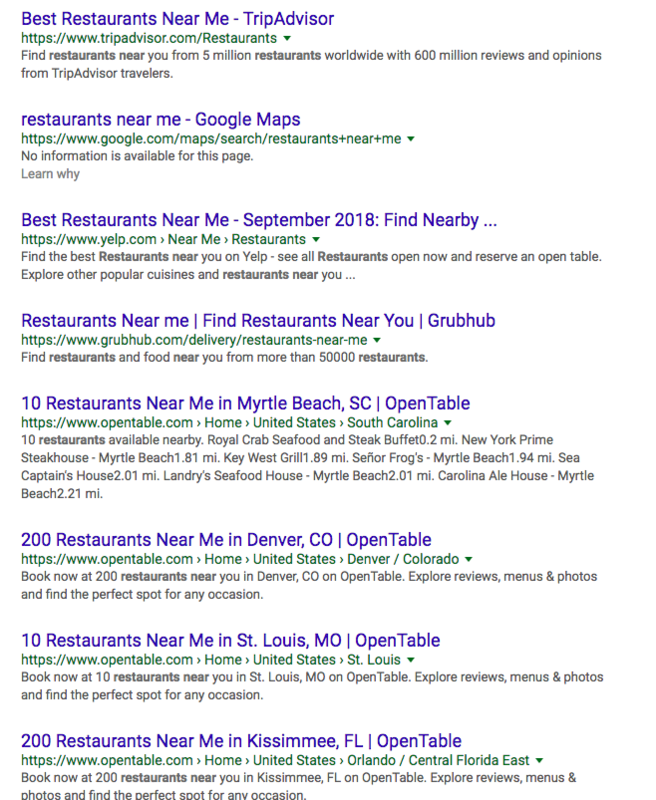 Right after the GMB listings, the results carry links to TripAdvisor, Yelp, Grubhub, and OpenTable. Which means that even if customers go past the GMB listings, they’re only going to see links that lead them to other websites, apps, and business directories. And if you’re not listed there either, then you’re going to lose out on even more customers discovering and choosing your business over your competitors’. This should always be the first step of your local SEO audit. See whether you’re listed on all the major directories out there, and if you’re not, work on immediately getting your business listed there. If you’re not aware of what the top business directories or the ones most pertinent to your industry are, check out this list of business directories. If the prospect of manually getting listed online seems a little daunting to you, you can always use listing management softwares like Synup to get the job done. Step 2: How does your online reputation look? Once you get your business listed online, your focus should be on making sure that you receive positive online reviews on your listings. 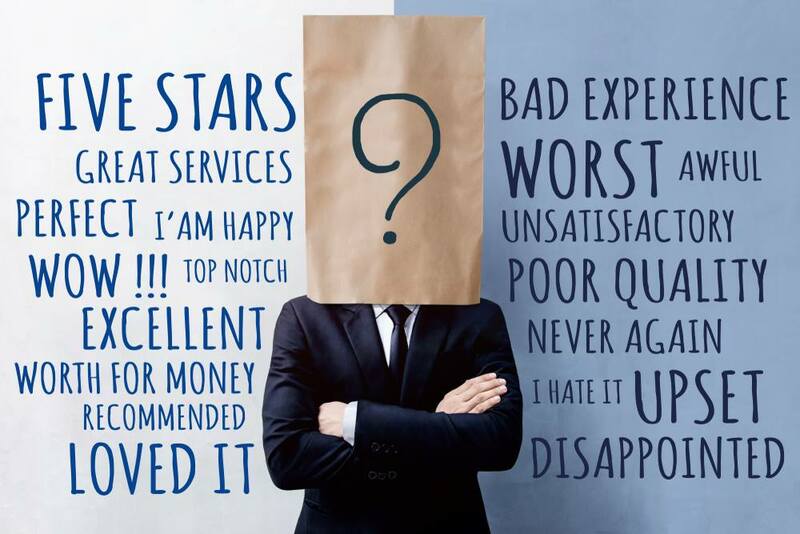 90% of customers check online reviews before visiting a business, and online reviews have been shown to impact 67.7% of purchase decisions. You can read more about increasing your star ratings and use a review generation wizard to make this process smoother for your business. Step 3: Have you optimised your on-page elements? 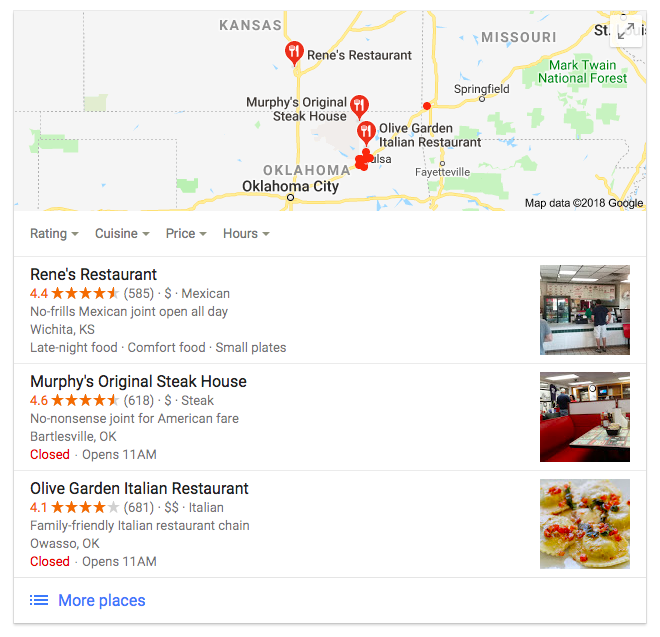 Once you’re done with your business listings and online reputation, your website’s on-page local SEO should be your next stop. In this search for “carpet cleaners in Florida”, you can see that the top search results after the GMB listings are websites of businesses in the area. Taking a closer look at the title tags of the websites, we can see that all of them contain the keywords “carpet cleaning” and “FL”. 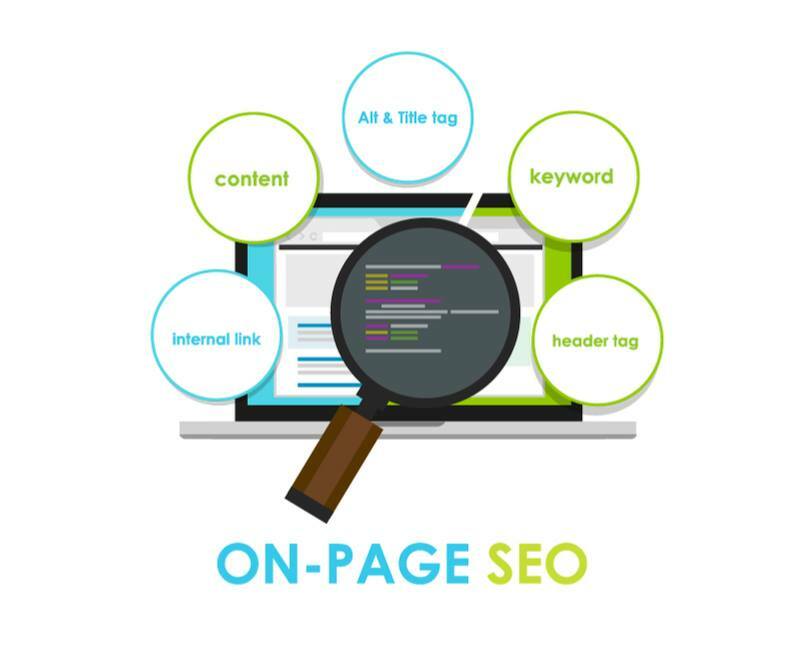 This is what on-page SEO is all about – making sure that you optimise for relevant keywords in your title tags and other metadata. Now, if you’re feeling like changing the frontend code of your website is not something you can do, let us tell you right away that it is not a big deal. 1. Right click on any empty space in the home page of your website and click on the ‘View Source’ option. 2. Copy the entire contents of the source code that appears and paste it on the screen of an editor like Sublime Text or Atom. 3. Change the parts of the source code according to your wish to optimise it for your business. You can learn the basics of frontend coding here. You’ll mostly have to focus on the title tags, meta description, and h1 tags of your website, and you don’t need to change anything else. Optimizing your on-page elements should help you appear on more relevant !searches. 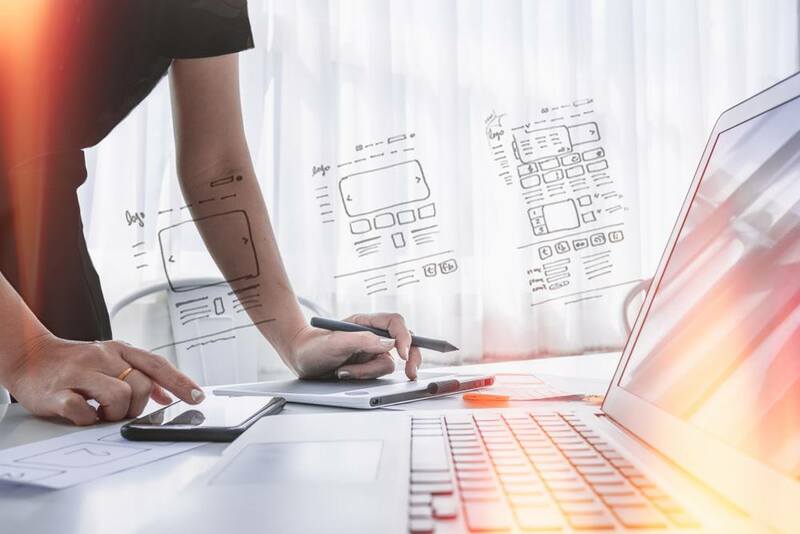 Once you’re done with all of the steps mentioned above, you can move on to the final step you need to focus on for your local SEO – using structured data markup to improve your local search engine marketing. Local schema is a comparatively new development in the world of local SEO, and one that’s not commonly employed, infamously. However, local schema presents a great opportunity for you to show up uniquely on local search results. Markup data allows you to display more information on search engines without making it look messy. There are plenty of ways to optimise your website with local schema. To learn more about how you can do it using Google’s Structured Data Markup Helper tool, check out this post. In conclusion, these are the top 4 things that you need to do to ensure an optimised local search engine presence. 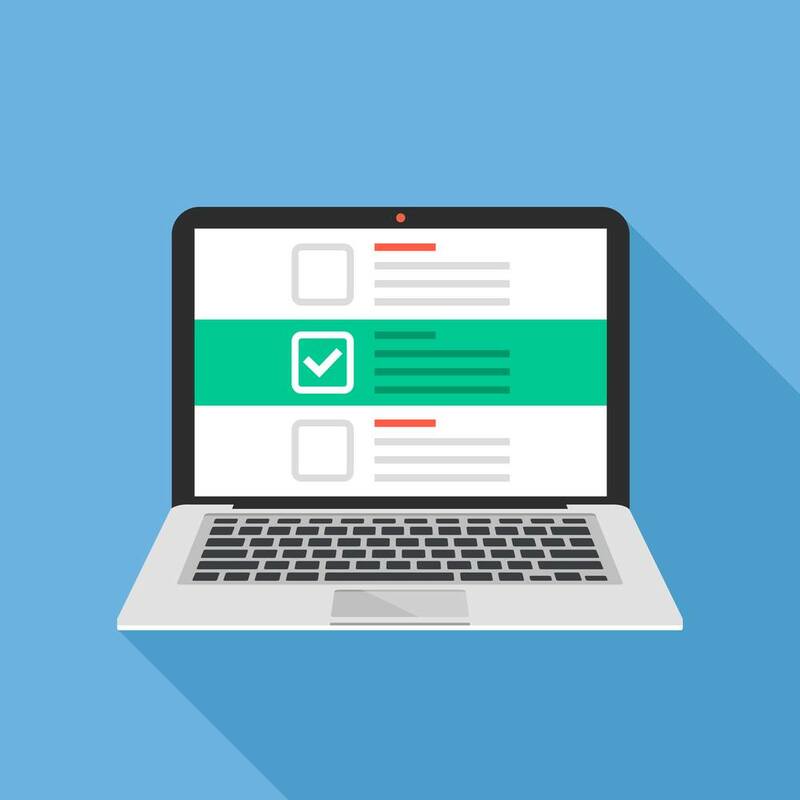 If you’re in the mood for doing more local SEO, or if you want to have a tool that will guide you along the process and help you track your progress, check out this printable local SEO checklist. Harsha Annadurai works as an Inbound Marketer at Synup. His excessive love for music and football has led many to believe that he was a jukebox in a football stadium in his past life.